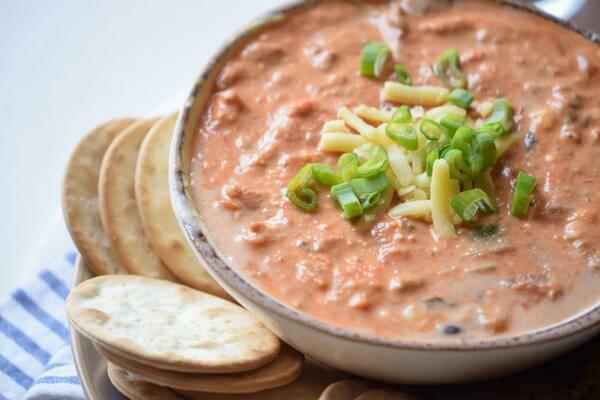 This hot and creamy crockpot lasagna dip packs all of the flavour of a classic Italian lasagna with a fraction of the work. If you’ve ever made lasagna from scratch, you know – it’s time consuming! Seriously, between prepping all of the layers, assembling it and baking it, you’re looking at close to two hours and at least $20 in ingredients! 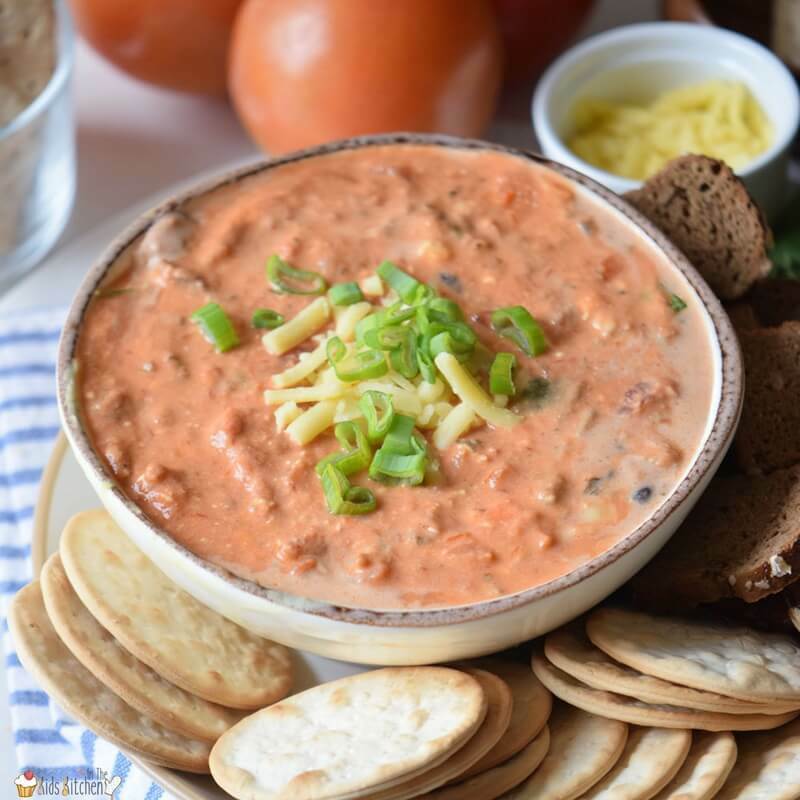 This lasagna dip is creamy, cheesy and packed with veggies – and it can be prepared either on the stove or in a slow cooker. Simply adjust the flavours to your family’s preferences. Season the beef with the Italian seasoning and cook in a frying pan over medium heat until fully cooked, about 5 minutes. 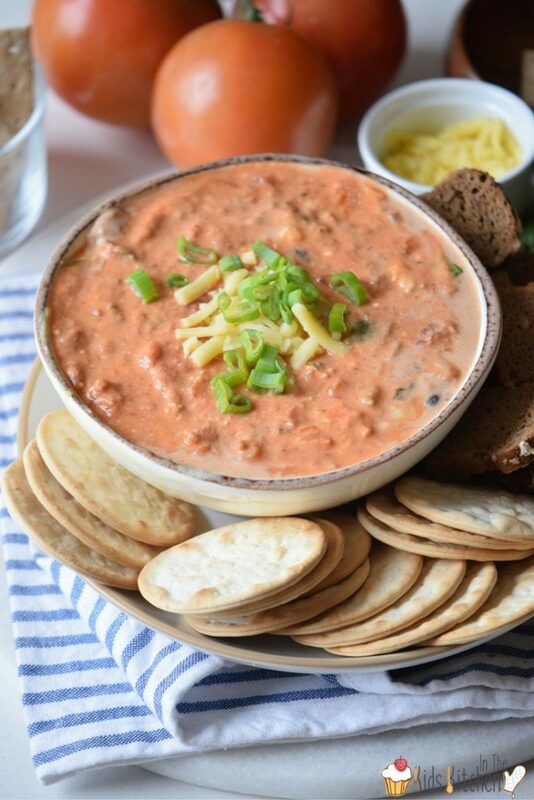 Transfer to a crockpot, and add the tomatoes, onion, half of the cheddar cheese, green onions, marinara sauce, sour cream, parmesan cheese and ricotta. Give everything a good stir and cook on high for 2 hours, or low for 4-6 hours. Taste and adjust with hot sauce or additional spices, as desired. 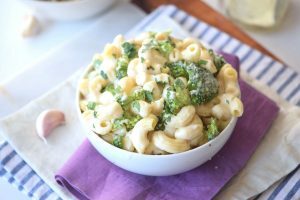 When ready to serve, spoon into your serving dish and top with the remaining cheddar cheese and green onions or parsley. Does your family go crazy for lasagna? 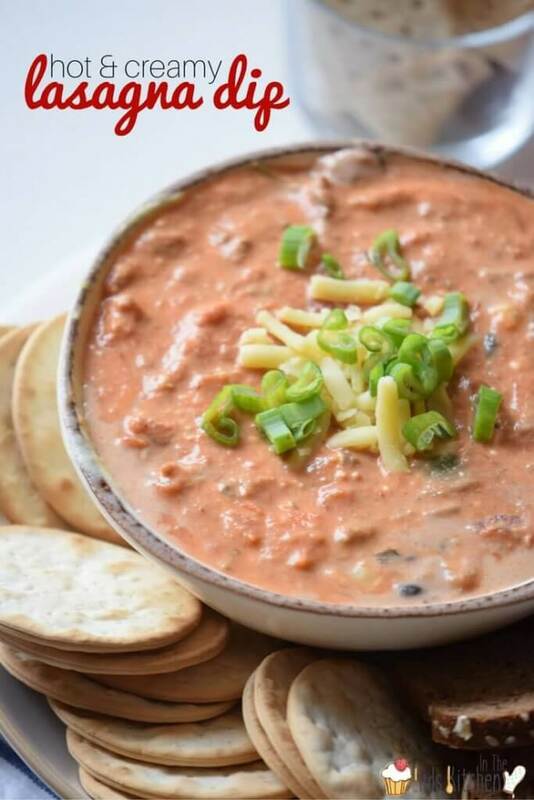 Do you have a special occasion (or game day) that this crockpot lasagna dip would be perfect for?